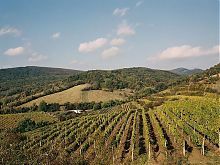 An excursion to a region which has been known for its wine since Roman times. We drive you through the ancient royal wine towns of Svätý Jur, Pezinok and Modra highlighting the most important sights. You will see how the Slovak Folk Majolica – is produced. 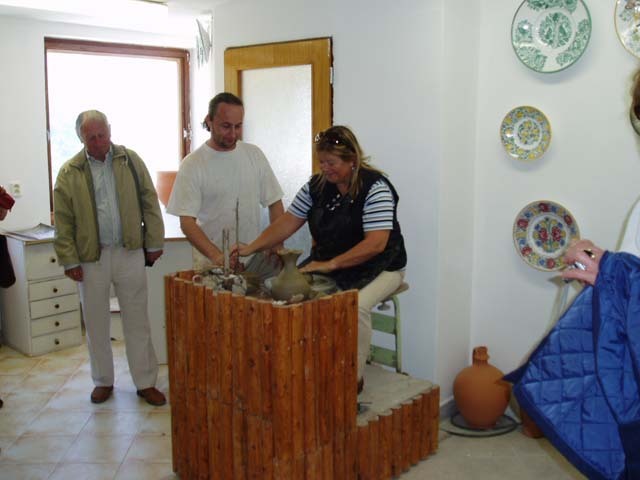 How the piece of clay is turned into a beautiful applied or decorative object. You can try to throw your own souvenir on the pottery wheel or purchase something from the great selection of traditional and modern ceramics.Then you will visit the best preserved historic sight of the region Červený Kameň (Red Rock Castle). You will tour 24 rooms of a castle furnished with pieces ranging from the Renaissance up to Art Noveau, an exhibition of weapons and armour, a medieval pharmacy and library and the castle undergrounds. The tour finishes in Pezinok where you will sample wines from the Small Carpathians and traditional Slovak cuisine in a local restaurant. Admissions to the castle, pottery workshop and wine sampling: 25 €/p.p. Menu of lunch/dinner and price on request.